Image courtesy of Ceasefire Magazine. I have many irresolvable arguments with a close and particularly argumentative friend of mine. We regularly disagree, in a civilised, congenial way, on specific topics to do with politics, love, the weather, Asian food and ethics. But it is apropos of the matter of writing that we diverge most pigheadedly. And, yes, my friend is a fellow writer. My friend believes that writing brings the writer pleasure, and it is this pleasure which more or less compensates for the lack of financial and social rewards. I, on the other hand, refuse to accept that I derive much pleasure from writing. Writing agitates me and makes me sleepless. It makes me very introverted and at times quite gloomy. Although I have been told that I’m one of the more active writers of my generation, I can’t say that I’m ever really pleased with the practice or products of my writing. So why then, as my friend often asks with a half-mocking smile, do I write so much? The answers that I have given him and others in the past have been frankly dishonest, pretentious, perhaps even ideological. Yes, I have suffered a good deal for my decision to become a writer; and, yes, despite a few publications and some fondness from a few kind readers, I could not imagine ever receiving just recompense for the years, indeed decades, of work that I have put into literature. So, to expiate for this obvious imbalance, I’m given to providing grandiose, unintentionally untrue reasons for why I write. I have claimed to write because I wish to change the world; to protest against injustice; to give voice to the voiceless; and so on. But these justifications seem, at best, secondary to the primary act of writing, to the initial decisions involved in spending hours, days and weeks alone producing texts most of which have never been published or read; most of which have not, in other words, been in the position to have any effect whatsoever on the world. So why do I write? The simple and true answer that I would like to consider in this essay is that writing, despite all its concomitant challenges and disappointments, makes one happy. And this is not a happiness associated with an immediate sense of pleasure, nor does it have anything to do with a fantasy of how one’s writing may affect its potential readers. Looking back over the past two decades of my life, I have come to view a quest for happiness as central to my decision to remain loyal to the often difficult, unrewarding passion for writing books, poems, articles and stories. But this happiness seems at best intangible and ephemeral. In this essay I wish to simultaneously narrate and explore a definition of such a thing. This essay is both a story and an investigation of my years of yearning for contentment as a writer. My investigation will be an experiment in fusing the philosophical with the personal, the conceptual with the autobiographical, to occasion a hopefully intelligent and novel approach to the theme of happiness. 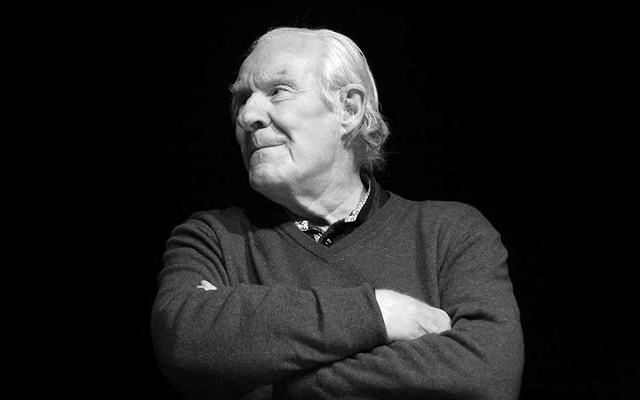 In his fascinatingly playful and modern recent rewriting of Plato’s Republic, contemporary French philosopher Alain Badiou provides an engrossing discourse on happiness. In the book’s fifteenth chapter, Badiou presents Socrates’s dialogue on happiness with two of his disciples, Amantha and Glaucon (the former being Badiou’s own female invention, based on the character of Adeimantus in Plato’s original Republic). This dialogue follows on from a discussion on tyranny in the book’s previous chapter, and begins with a contemplation on unhappiness. Claiming that there exist three dimensions or agencies to the human subject – ‘Thought, Affect and Desire’ (Badiou 2012: 294) – Socrates argues that in tyranny ‘the agency of Thought is subservient to that little part of the “Desire” agency that’s ordinarily kept in check but that in this case runs rampant: the vilest desires, envy, informing on people, the outrageously exaggerated satisfaction of trampling on the weak’(Badiou 2012: 294). Amantha interprets Socrates’ characterisation of the tyrant as someone who, despite possessing the power to enact his ‘basest desires’, ‘always has the feeling he’s failed’ (Badiou 2012: 294). She sees this depiction of the tyrant as ‘the portrait of the fascist’ who ‘secretly regards himself as a failure and spends his whole life trying unsuccessfully to overcome the lethal duo of resentment and guilt’ (Badiou 2012: 294). This definition of the other of happiness resonates with me strongly. Indeed, many of my memories of the earlier years of my work as a writer are saturated with feelings of failure and guilt. I had been a voracious writer – of stories, biographical sketches and historical summaries – as a child in Iran prior to migrating to Australia in the early 1990s; but these writings were in Farsi, and it took a number of years for me to feel remotely confident to start writing in English. In my late teens, while I was an undergraduate Creative Arts student in Queensland, and inspired by classmates who performed their poetry as spoken word, I began to write in English, and this made for an auspicious beginning to my writing life as an adult. I felt appreciated by my peers and teachers for performing my own poems at student gatherings and minor cultural events on and off campus, and, by the time I had turned twenty-one, I had decided that I wanted to become a writer. This entry was posted in ESSAYS and tagged Alain Badiou, Ali Alizadeh, Michel Foucault, Plato. Bookmark the permalink. Ali Alizadeh's next book, The Last Days of Jeanne d'Arc, will be released in 2017. He is a lecturer in Creative Writing and Literary Studies at Monash University.